Enoch is a teenage boy growing up in a rundown orphanage in Georgia during the 1980s. Abandoned from the moment they were born, Enoch and his friends are different. People in the nearby town whisper that the children from the orphanage are monsters. The orphanage is not a happy home. Brutal teachers, farm labor, and communal living in a crumbling plantation house are Enoch’s standard day to day. But he dreams of growing up to live among the normals as a respected man. He believes in a world less cruel, one where he can be loved. One night, Enoch and his friends share a campfire with a group of normal kids. As mutual fears subside, friendships form, and living together doesn’t seem so out of reach. But then a body is found, and it may be the spark that ignites revolution. What to say about this book? It’s inventive, for sure. The world-building is top-notch. Did I like it? I’ve spent the last couple of days thinking about it, and I’m still not sure. Parts of it were brilliant. Other parts staggeringly brutal. And some distinctly unpleasant. And I’m not sure I can entirely get past those. And I’m sure it’s a book that I’ll not forget for quite some time. One of Us is a very character-driven piece, and the characters that Craig DiLouie assembles here are strikingly drawn and unique. Set in an alternate 80s small-town America, filled with good ol’ boys with their trucks and guns, cotton farmers, evil orphanage masters and a sheriff who struggles between what’s right and what will keep the town happy. It’s Southern Gothic, soaked in heat and oppression. It’s a book about prejudice, and taking sides. It’s a book about what happens when monsters walk amongst us. But the monsters aren’t always who they seem to be on the surface, and sometimes the scariest are those who look just like one of us. It’s a book about hatred and fear, though ultimately hope. It’s entirely relevant given the current situation in the modern US. It shows the world through the eyes of the plague children and the ‘normals’, and what happens when an oppressed minority decides that enough is enough. It’s hard to say more without giving too much away. If you do decide to give it a go, approach with caution – it’s not an easy read and doesn’t pull any punches. I’d love to hear what you think. 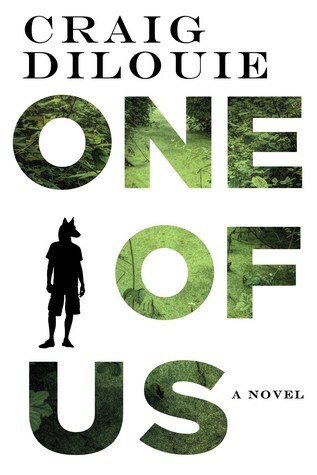 One of Us by Craig DiLouie is published by Orbit Books and is out now. Many thanks to Nazia at Orbit for the review copy. I’m in the middle of this right now and I know just what you mean. I feel like it’s an important book but you’re right, it’s not an easy read. And not at all what I expected, for some reason! No, it’s very different. I’d love to hear what you think when you’ve finished!